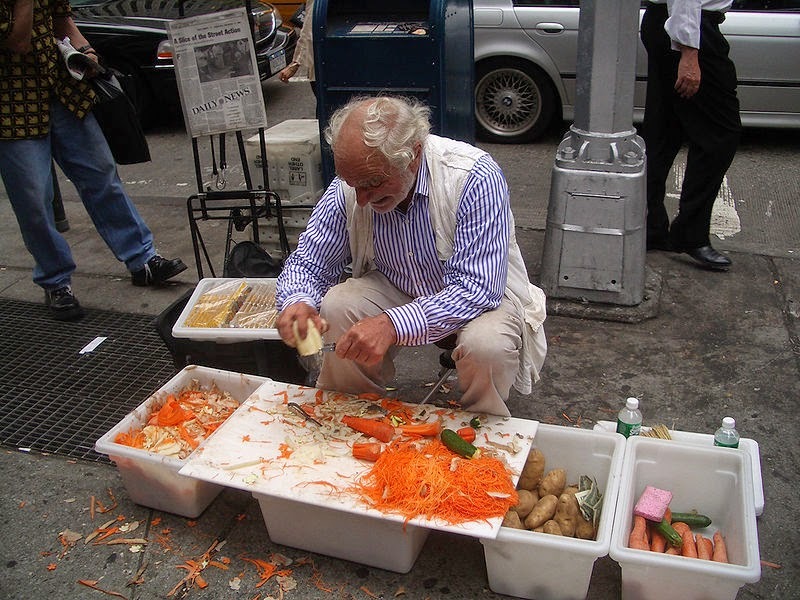 Known as the Gentleman Peeler, Joe Ades was a fixture at the Union Square in New York City from 1993 to the late 2000's when he hawked $5 Swiss-made potato peelers there. He was not an ordinary street seller. For one, he wore $1000 suits by Chester Barrie and shirts from Turnbull & Asser. However, he is most well-known for his engaging and animated sales pitches. His wit and charm eventually caught the attention of the media. Among the several pieces written about him was an article series that appeared in the pages of Vanity Fair. Ades died in February of 2009.